Washington DC, also referred to as the District of Columbia, Washington, the District, or DC, is unique among American cities because it was established by the Constitution of the United States to serve as the nation’s capital. 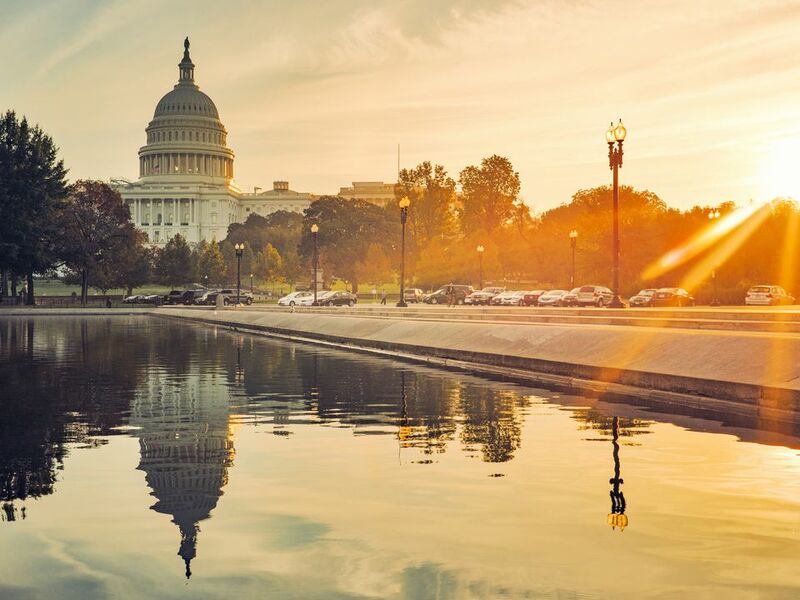 Washington, DC is not only the home to our federal government, but it is also a cosmopolitan city with a variety of opportunities that attract residents and visitors from around the world. Following are basic facts about Washington, DC including information about geography, demographics, local government and more. Named: Washington, DC (District of Columbia) after George Washington and Christopher Columbus. Federal District: Washington DC is not a state. It is a federal district created specifically to be the seat of government. Major Industries: Tourism generates more than $5.5 billion in visitor spending. Other Important Industries: Trade associations, law, higher education, medicine/medical research, government-related research, publishing and international finance. Major Corporations: Marriott International, AMTRAK, AOL Time Warner, Gannett News, Exxon Mobil, Sprint Nextel and the International Monetary Fund. Although DC residents pay taxes to the federal government, they do not have a voting representative in Congress. DC is divided into 8 Wards, geographical regions that are used to elect members of the DC City Council. Government Officials: Mayor, DC Council (13 elected members), Congressional Delegation (delegate to the House of Representatives, two senators, and one representative), State Board of Education and Advisory Neighborhood Commissions.